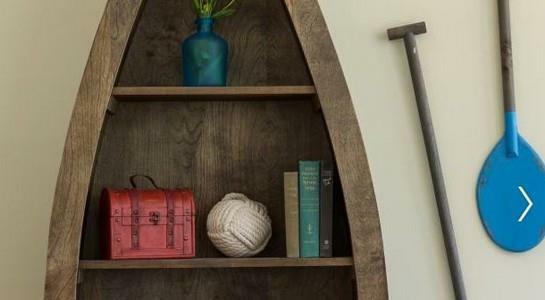 Whether you want to build a book shelf, garage shelf, corner shelf, wall shelf, display shelf or even a floating shelf, below are dozens of shelf plans to help you build the perfect home accent. Like most families you can never get enough storage space. 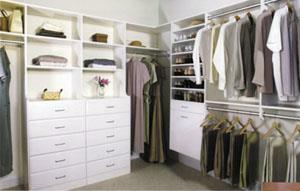 Using these plans you can make storage cubbies for any room in your house. This shelving unit adds more storage space to any room in the house. Use these drawings to build a 3 tier corner shelf. 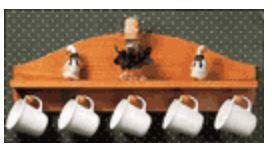 Shaker Shelves offer a way to display knickknacks and hang coats and hats. 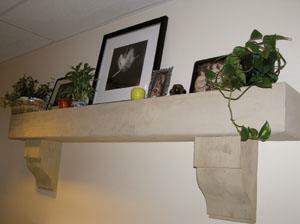 Build a beautiful shelf that resembles a mantel. 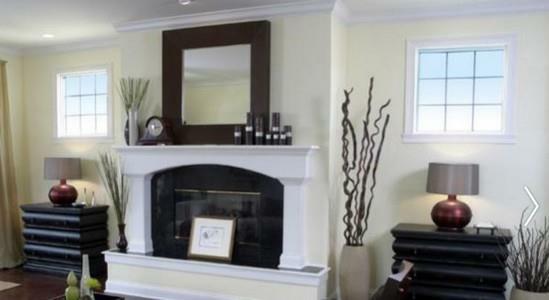 This is a low cost project that will benefit your home for many years. 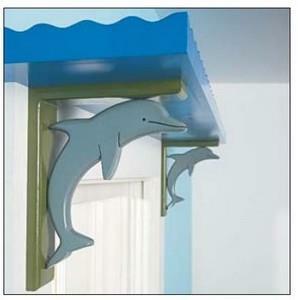 It's a simple and inexpensive project that is easy to build and easy to hang. 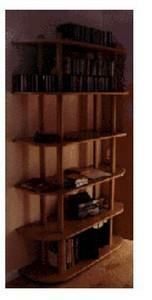 You can build your own corner shelves quickly and inexpensively. Whether you're a closet hog or you really don't have much closet space, following a few simple guidelines can make a big difference in how to get the most out of the closet space you do have. 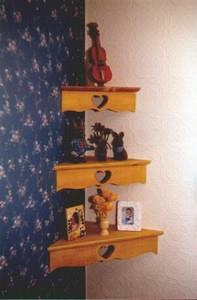 This shelf can be build using any wood and easily modified for more thread holders. 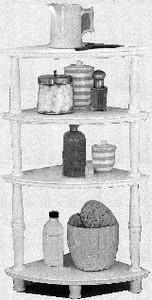 An Early American mug shelf that is easy and quick to build. 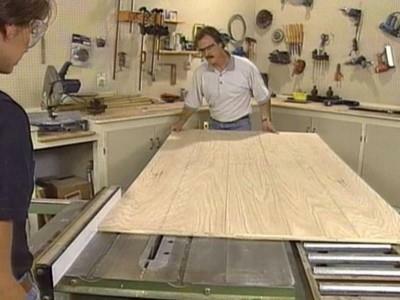 Follow this pattern to make a turned shelf. 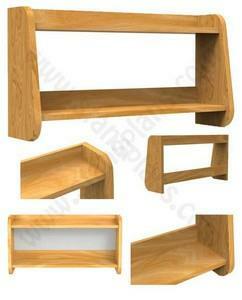 Shelf is great for holding picture frames, knick knacks, plants or whatever you choose. A half ladder is built and nailed to a wall stud, then horizontal stretchers are added to form another edge of the shelf. Step by step instructions to add shelving to your garage to help keep it organized & clean. 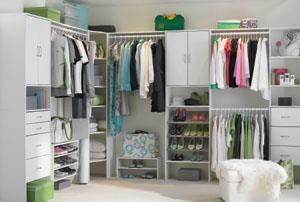 Additional shelving is useful in almost every home and can be added quickly and easily. And it need not be expensive. 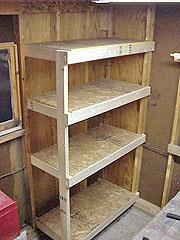 You can make basic, non-adjustable shelving from solid boards of almost any size or width. 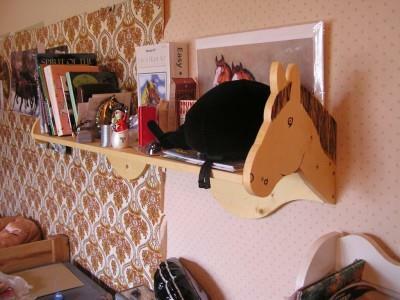 This shelf is great for the horse lover or even to put in a country home. 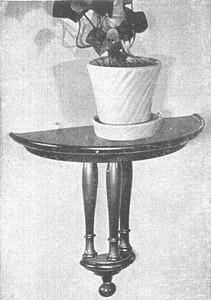 Instructions with pattern to make a horse shelf. 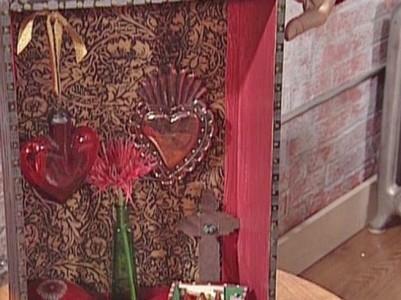 Follow these simple directions to make a three heart shelf with three pegs. Great for holding things or just for decoration. A shadow box is a great way to display mementos. This simple shelf is an excellent beginner project, it can be made out of pine with a clear finish or out of plywood and then be painted. 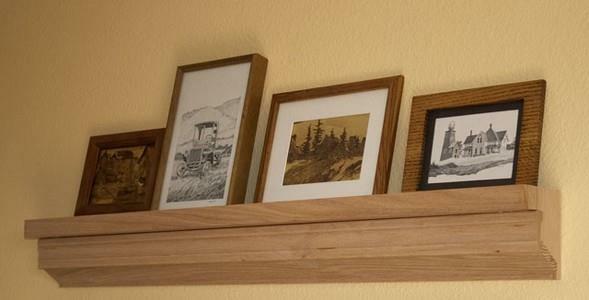 Picture shelves are a good way to display pictures as opposed to hanging them on the wall. It's easy to rearrange the pictures when you want a different look. This project requires 3/4 inch birch plywood , 1 X 2 wood trim & 2 inch dowel. These construction drawings offer detailed instructions on building two designs. 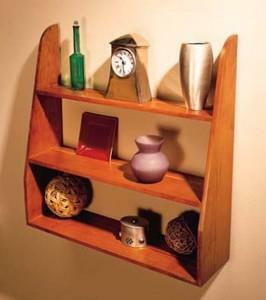 This corner shelf project is a very simple weekend project. The shelves are made out of plywood with cheap pine used as the edging to give the effect of a thicker, more solid type of wood. 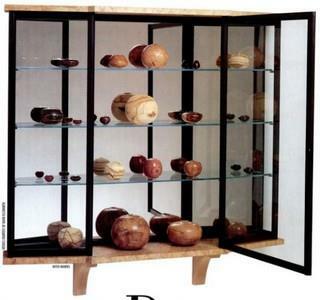 Display your favorite collection safely away from the hands of youngsters. A piece of plywood approximately 5 inches wide by 20 inches long is all the material that is necessary for making this portable shelf. 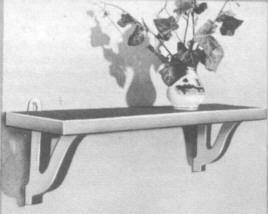 It contains its own brackets and can be folded flat for storage. 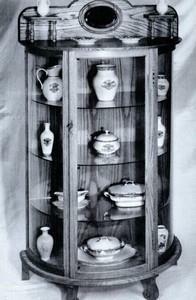 Make an attractive display cabinet. This is a great shelf to display your favorite holiday decor, and easy enough to fold up and put away when its not needed. A quick & easy project for beginners or for those whom are more experienced. 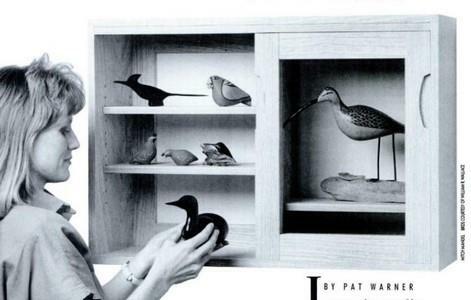 This display cabinet is designed with a router in mind.